We have recently started something new with Hailey. 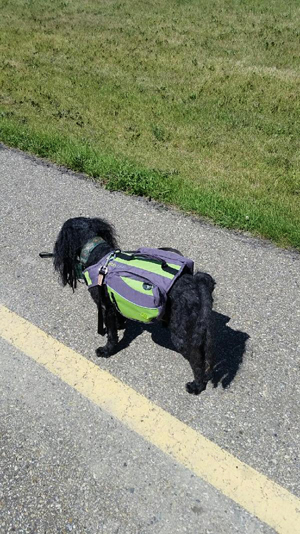 She’s now been wearing a backpack on her walks, and seems to be loving it! Especially with the treats in!